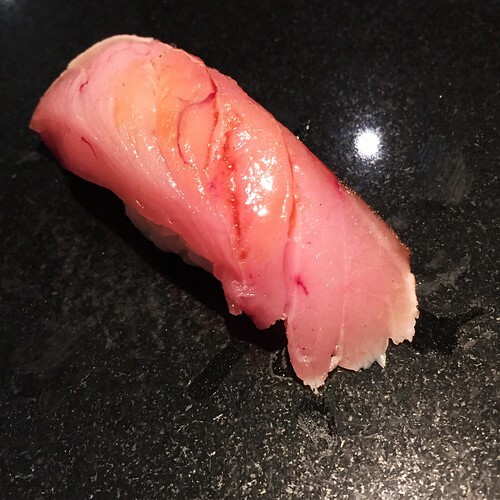 Dinner at that temple of sushi, Sushi Nakazawa (and as you’ll see below, it really did feel like a temple). 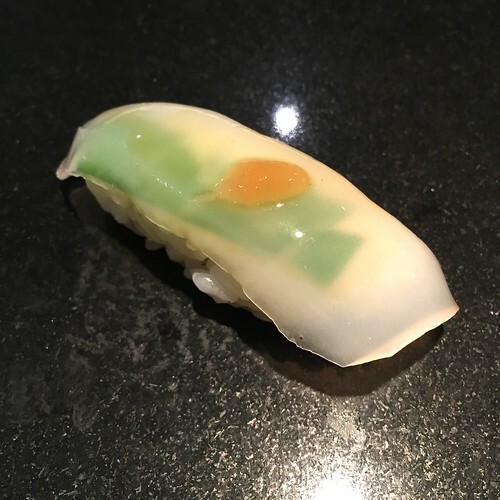 I’d been wanting to go ever since it opened to rave reviews but was always too lazy to bother scouring reservations for a decent time at the bar. 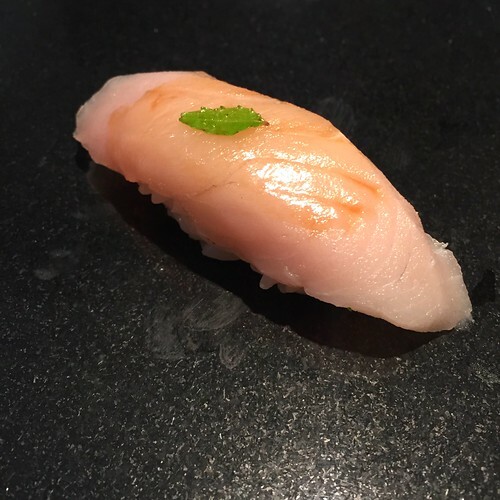 Finally, near the end of the summer, when I had a serious sushi craving and work was slow, I managed to snag an 8:30 p.m. spot at the 10 seat counter. 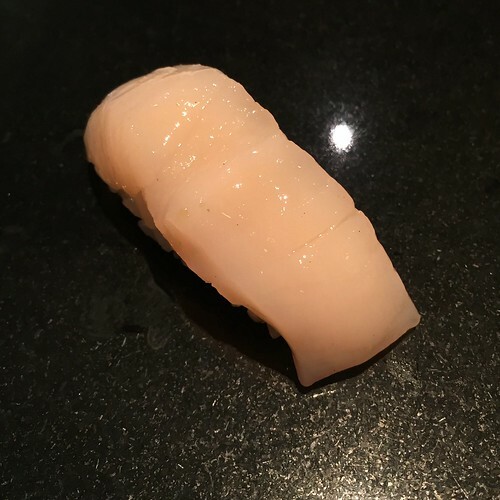 The reservation was on a Saturday evening, which meant that Chef Nakazawa (of Jiro Dreams of Sushi fame) wasn’t in, but the quality of the food and service was still at the highest level (as it should be, given the price of the omakase). 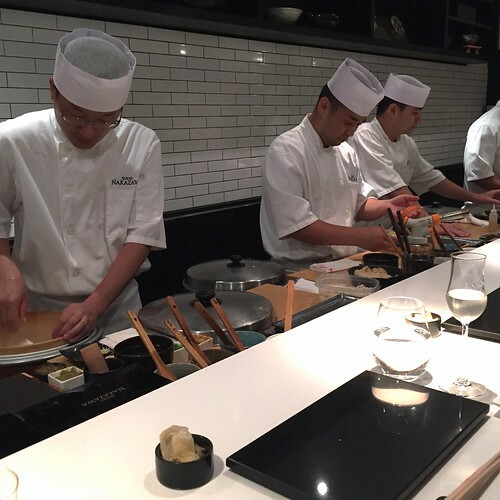 While the overall experience was wonderful, the general atmosphere seemed a bit stiff to me – the interior was very sleek and modern (almost sterile-feeling), the chefs behind the counter didn’t seem particularly keen to make conversation (even more noticeable since there was no music playing) and the other guests were mostly a well-heeled crowd that seemed to hold the restaurant in such reverence that they weren’t willing to let loose and relax (also, there was a super hip woman wearing a fedora throughout the entire dinner, which I just didn’t understand. 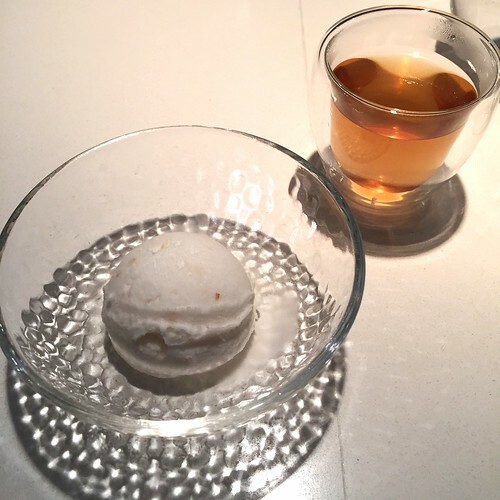 I must be getting old). 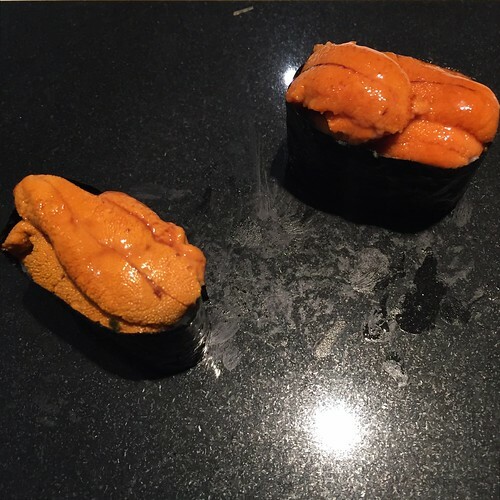 I’m still very glad to have had the chance to go, but given the choice, I’d much rather go to Shuko for dinner, where the food is still perfectly executed (and honestly, more interesting – especially when doing the kaiseki menu) and everyone, guests and chefs, is having a fun time making conversation in a warm and inviting room with Top 40 or old school hip hop blaring in the background. 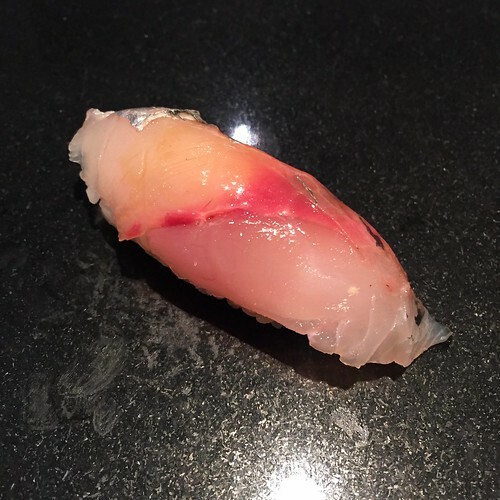 Spanish mackerel – this was a favorite of mine. 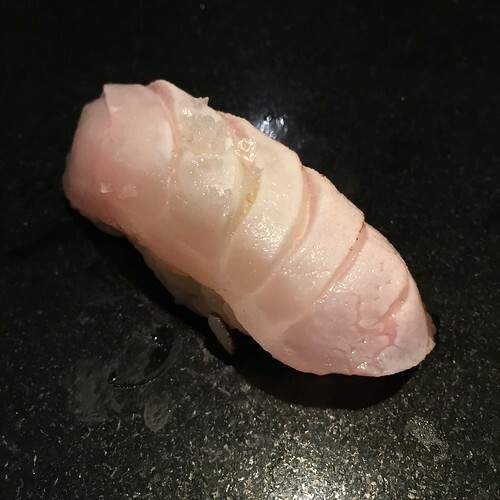 Unfortunately, I can’t recall the name of this particular type of fish. 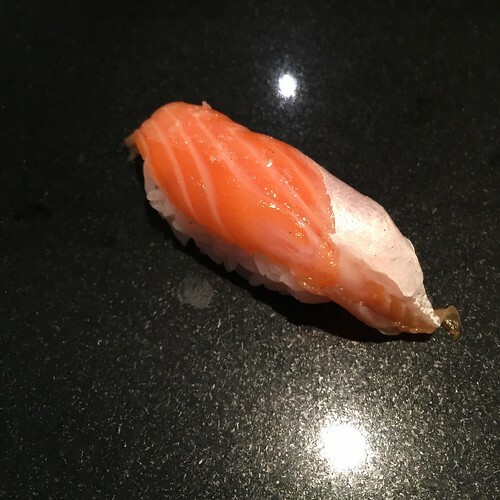 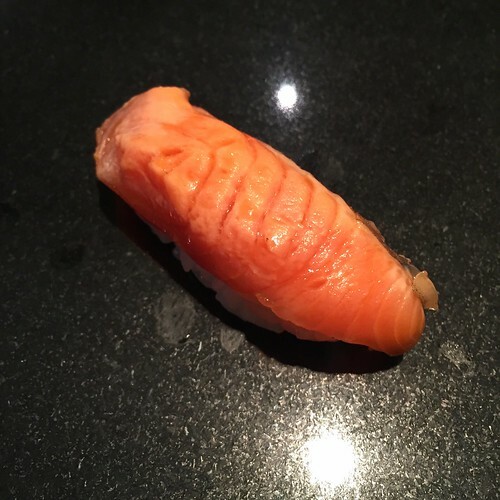 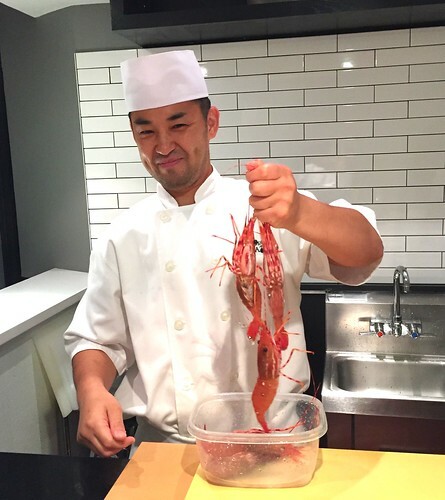 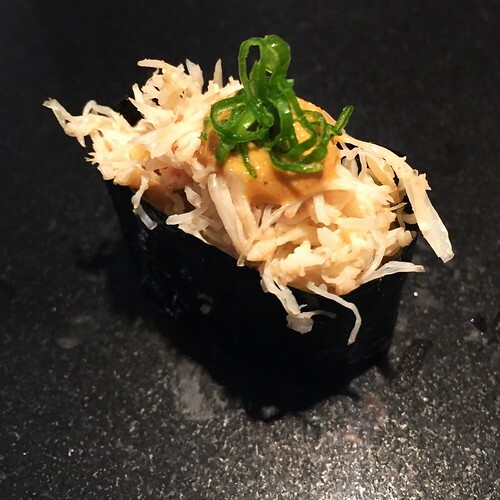 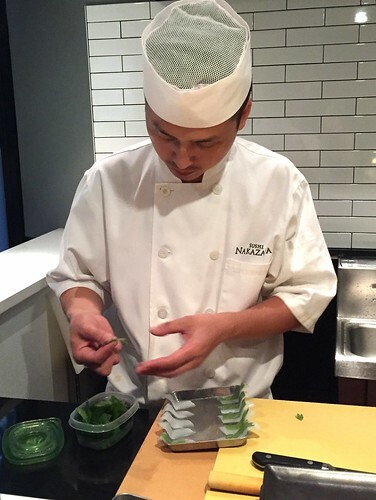 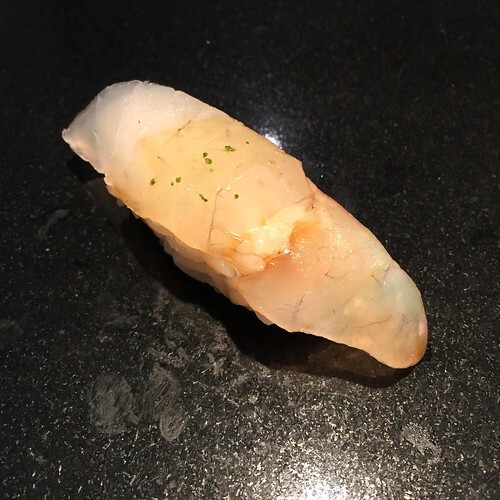 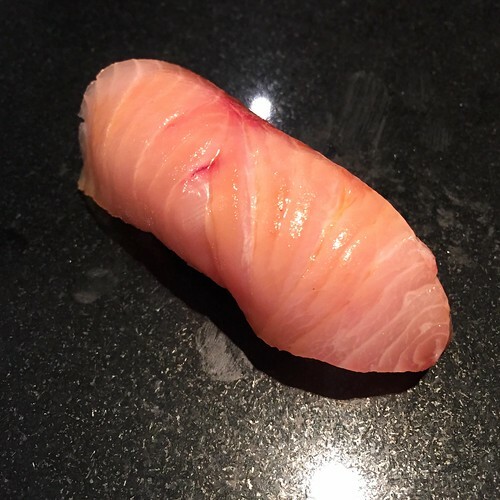 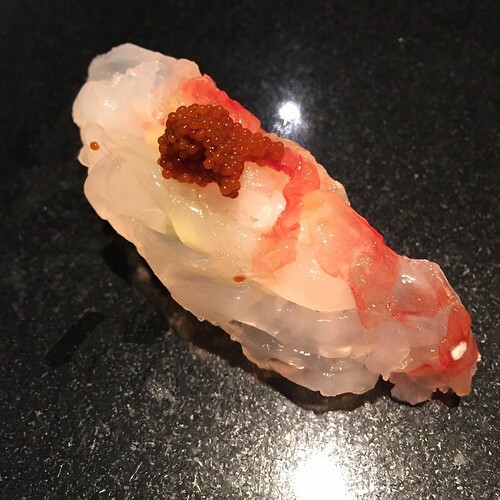 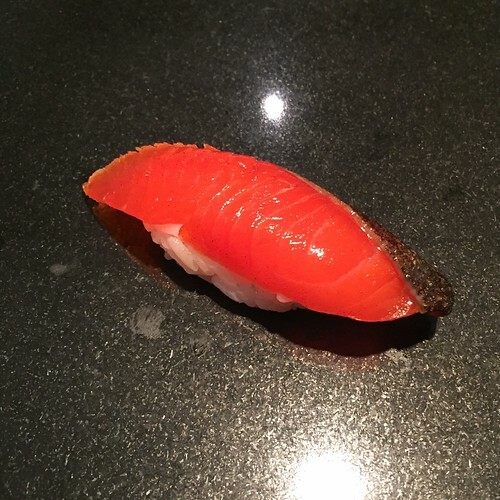 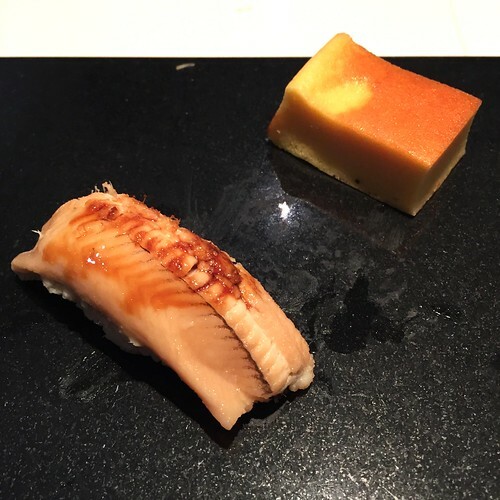 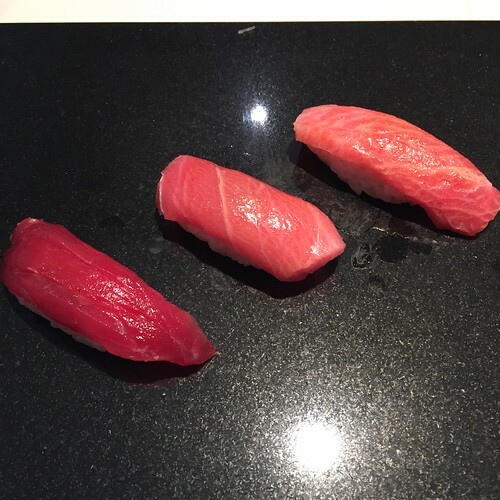 You are currently reading Sushi Nakazawa at Notes on Food.